Festival fever! 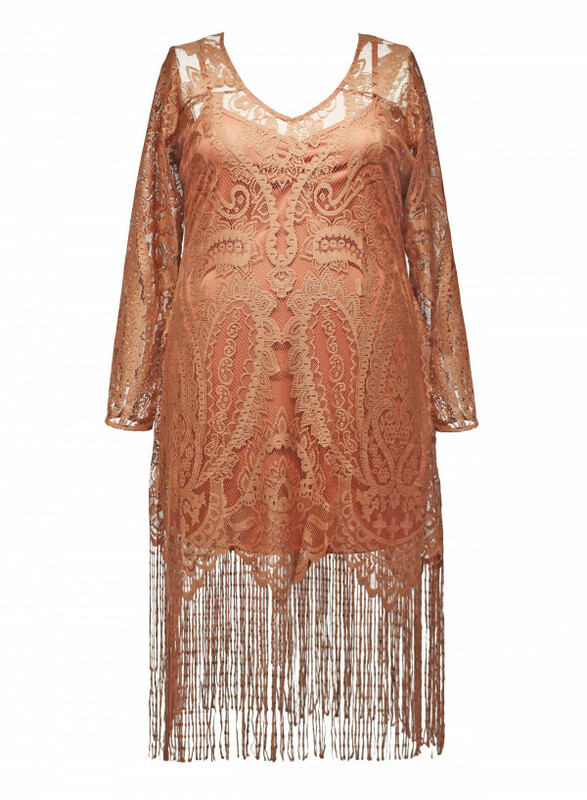 This is definitely one of Anna's hottest dresses this season.Come on, let me see you shake your tail feather in this uber-cool lace tunic dress with extra long swishy fringing. Sheer fabulous lace tunic dress worn over a separate jersey slip dress.Sophisticated and very lickable in caramel.